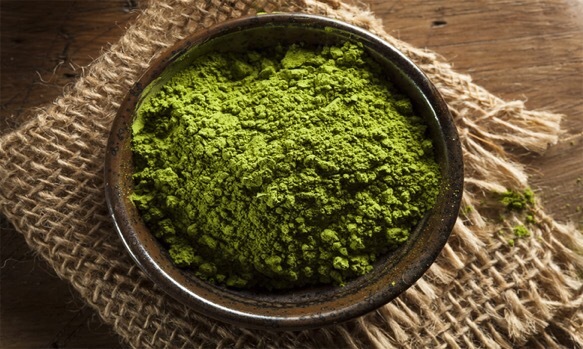 There are about a zillion health benefits to matcha – no joke. 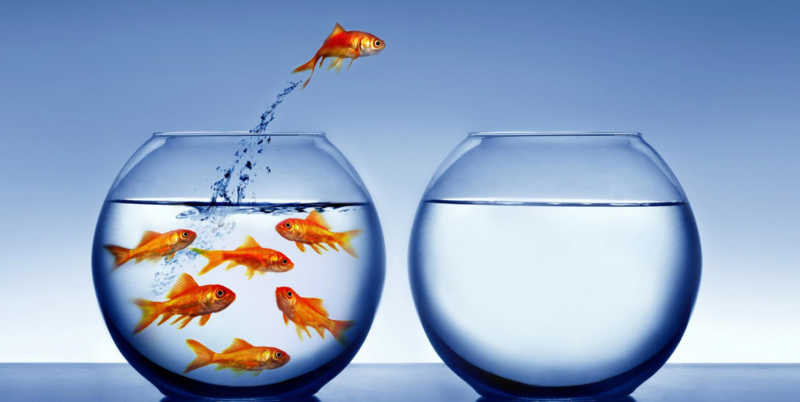 The secret is getting over the taste. 🤢 I think it’s definitely one of things you acquire over time; it was certainly not my favorite the first time I tried it. After trying quite a few recipes out, I’ve picked my fav’s for you to enjoy to help you get started! The good news is that you don’t need to consume a lot of this super powder to reap the benefits, so if you are not a raving fan, you can still partake without feeling like you have to choke down your food. What is it, and why is it so healthy anyway? A couple things to note before going crazy green in the kitchen. 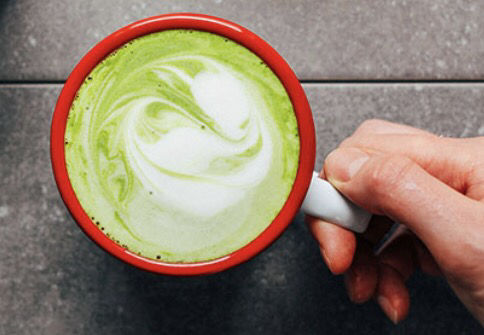 Matcha comes in one of two forms: ceremony-grade and food-grade. Ceremony-grade is technically higher quality and primarily used for beverages, while food-grade is used for baking/cooking. You can use whatever you’d like in either recipe; ceremony-grade is typically less bitter though and may be a good choice if you are not an instant fan and are trying to warm up to the taste. 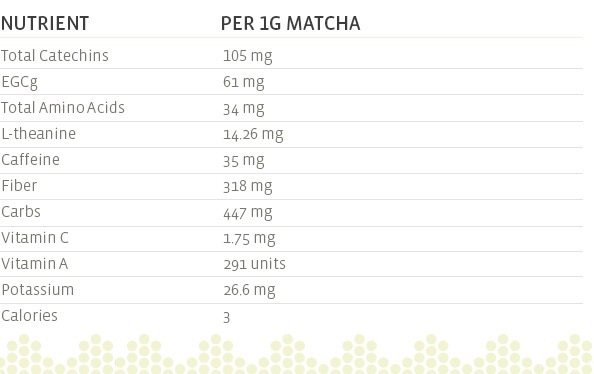 More tips on matcha buying here. I really liked this dish; miso and matcha are a good pairing, and it has a nice sweetness to it. Since we’re meat lovers at my house, I doubled the miso mixture, and pan fried some chicken breasts in coconut oil while the eggplant was roasting to amp up the protein, basting the chicken with the extra dressing as it was cooking. Yum! 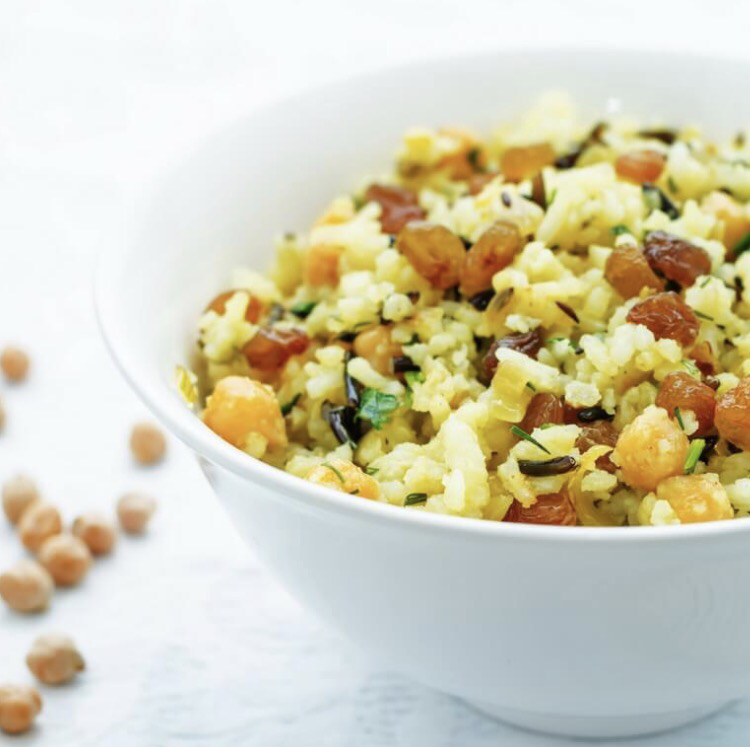 This grain salad takes some time, but is off-the-hook delicious. Great option for a “wow the crowd” potluck! (Don’t let the 3-4 servings fool you – this feeds a hungry herd). 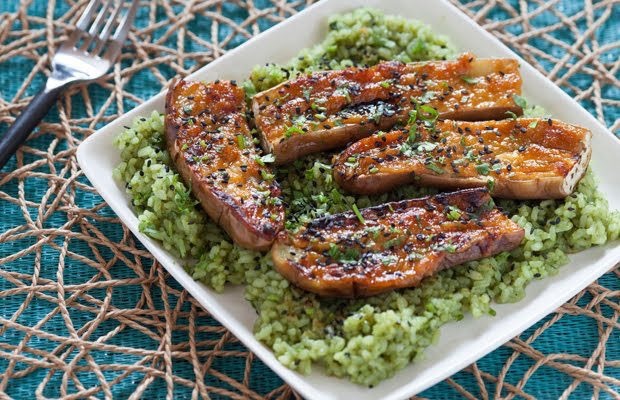 Cut down on the cooking time by using leftover rice. Really great fix for those monthly chocolate cravings! Make sure to blend your coconut butter completely or the interior will have a gainy texture. 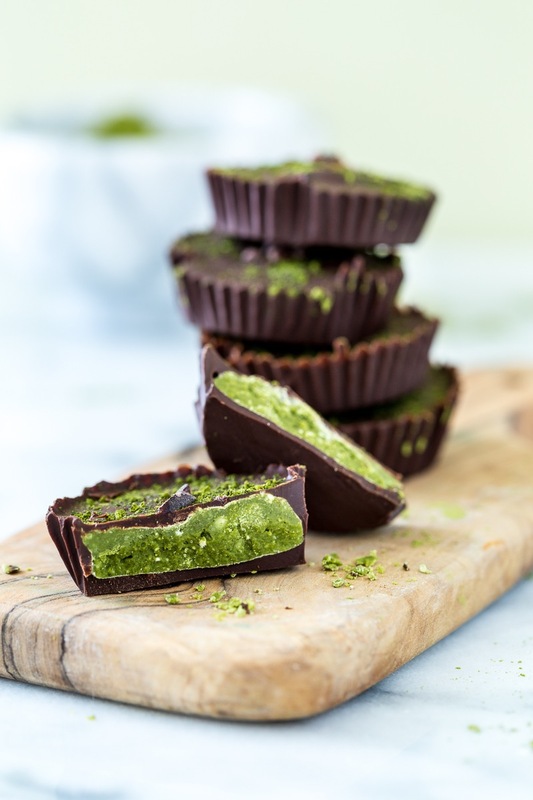 Dark chocolate and matcha go really well together – do not pass this one up! Nice, smooth and a pretty filling addition to a light breakfast! The pairing of macadamia nut milk and coconut milk is really good. Some think almond milk and matcha don’t pair well, so I suggest using a different alternative milk if you can’t find macadamia nut milk and don’t do cow’s milk. How do you like your matcha?